Thank you for your interest in hosting a fundraiser on behalf of Blessons for Women! Our Third Party (hosted on our behalf) Fundraiser Application helps us better understand and evaluate how Blessons and you, your school, group, company and/or business, will be working together. In order for us to fully evaluate the opportunity, please fill out the application form and be as detailed as possible. A member of our team will be in touch with you as soon as we can. As a Blessons fundraiser, please read through our Terms and Conditions here. You will be asked to accept these before your page is created or third party fundraiser is approved. Promotional Materials? Speaker? Use of Blessons Scholarships for Women logo? Online payment or ticket sales site? Volunteers? Blessons would like to thank and recognize the following DePaul University students in MGT 300; Rohan Parikh, Brittany Stevens, Jadin Urban, Cathryn David, Adrian Wojcik and Dean Zillner ! Their group assignment was to raise funds and awareness for a charity of their choice. The group of DePaul students in MGT 300, decided on a goal of raising $1,100 and 100% of proceeds to benefit Blessons Scholarships for Women! On Feb. 20th, 2018, they were able to achieve their fundraising goal of $1,100 by hosting a raffle! Thanks to the generosity of their colleagues, friends and family, this group project has helped Blessons add an additional $1,000 Blessons Scholarships for Women Award in Fall 2018 to further our mission in empowering women through education! Thank you to all our supporters who host fundraisers on our behalf throughout the years! Blessons Scholarships for Women provides free mentorship and educational workshops to women of all ages, including scholarships, to disadvantaged low-income women who have suffered from cancer, mental illness, physical or emotional abuse, or who are immigrants. OFFICAL CHARITY PARTNER OF THE BANK OF AMERICA CHICAGO MARATHON Join Team Blessons on Sunday, October 13th, 2019! Click the link and share your blessons story with us! HOW TO SHOP WHILE DONATING TO Blessons for Women? please Select Blessons, NFP as your amazon smile charity. Did you know that if you shop on amazon, you can select Blessons, NFP as your charity to support? HOW? Click the box below to learn more about Smile.Amazon.com for Blessons. 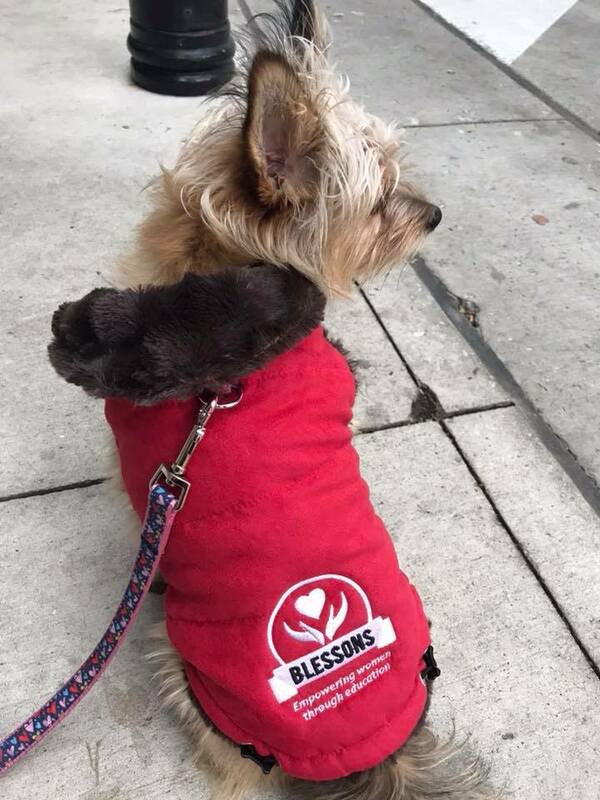 $5 of each Blessons item will donated to Blessons thanks to our supporters, Las Playeritas! If you want to make a lasting difference and help build women's future here's a simple way to set up a charitable gift in your will. It's so much easier than you think. Please state the information that you would like to dedicate a Blessons Scholarship on behalf of. Powered by The Her Blessons Project.